You are able to find a list of all the draft stories for a particular child on their profile so that you can easily edit and publish them all from one place. 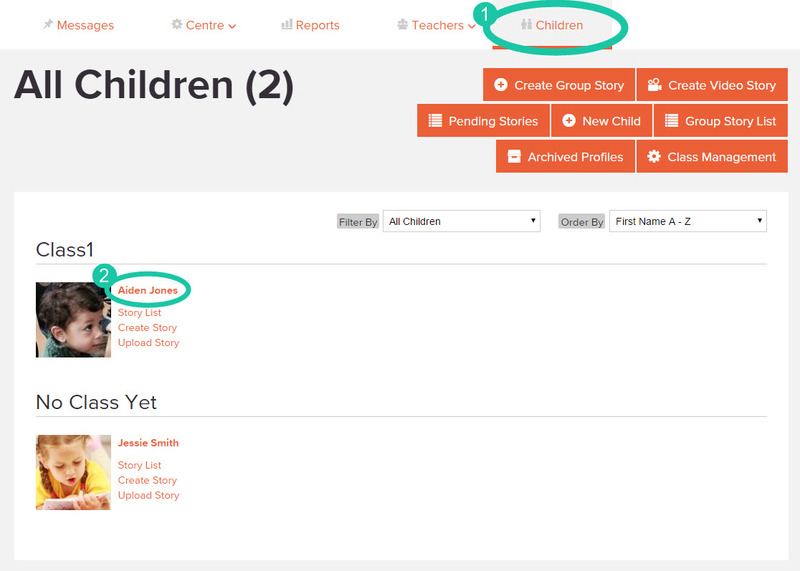 This will then take you to a list showing all of the child's draft stories, where you can either delete or edit and publish the stories. You can also access Draft Stories (and all published and group stories) by going to your My Stories page.